From what I can tell, the company that manufactured the Savanna Crib is no longer in business. What do we do when the company that produces the parts we need does not exist anymore? 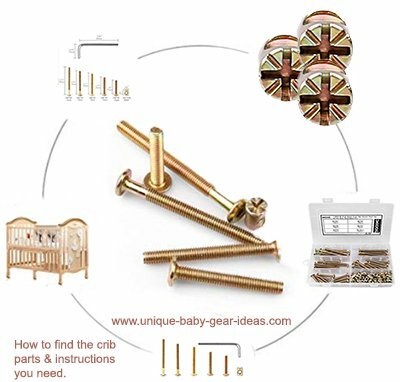 Go here to find the conversion rails and hardware needed to convert the baby's bed to a toddler bed. If anyone has any suggestions for who may have an inventory of Savannah crib parts, please contact me using the space below (include your contact infon in case I need to get in touch with you!). Unique Baby Gear Ideas encourages our visitors to share their resources for Savannah and other discontinued crib parts to assist parents that need them.